Itinerary for Days 4 to 5 according to the brochure. We cross the north Italian Plain, passing Lake Garda to reach attractive Verona where we make a short stop for sightseeing. 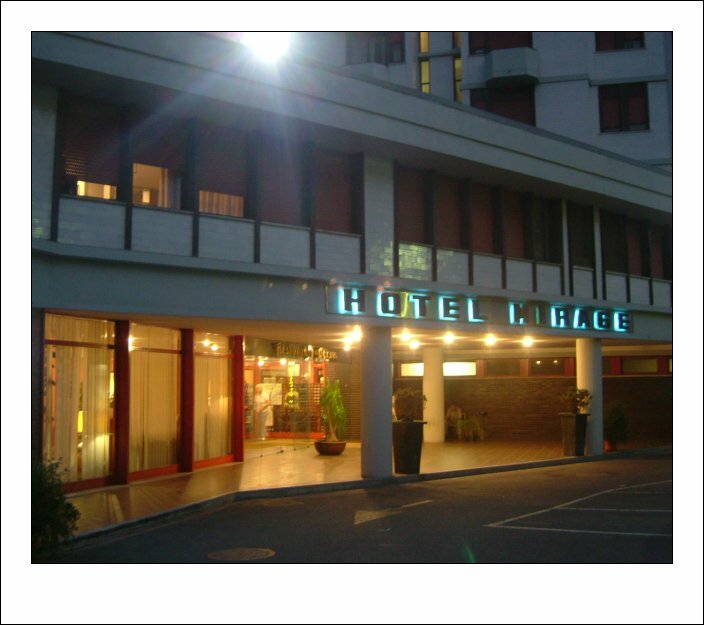 We continue to the outskirts of Venice, for an overnight stay at the Hotel Albatros (4*), Venice Mestre. Thunder woke me at 2am. Noisy people woke me again at 4am. I was definitely regretting not getting to bed earlier. After a quick breakfast I found myself confined to the hotel until our departure, due to the rain. We formally introduced ourselves to Gordon, the only other single traveller. 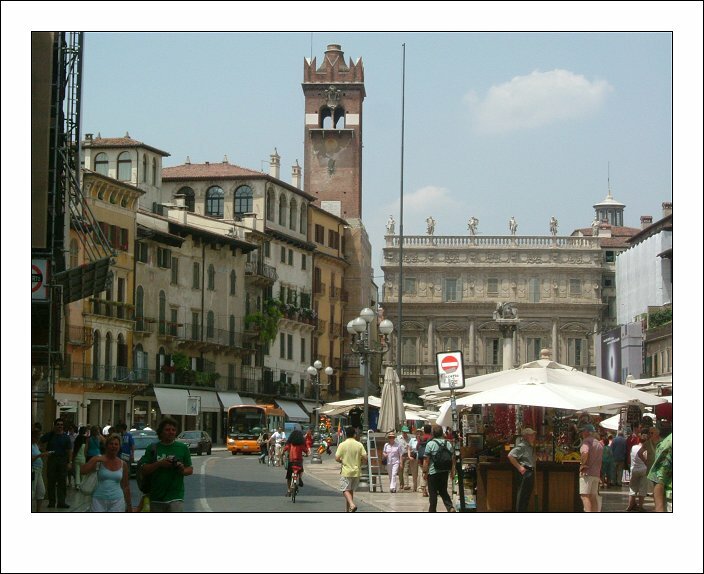 We took the E35, driving around Milan, past Bergamo, Brescia, Desenzano and onto Verona. (I confess I was not feeling patricularly well with a severe case of upset stomach!). 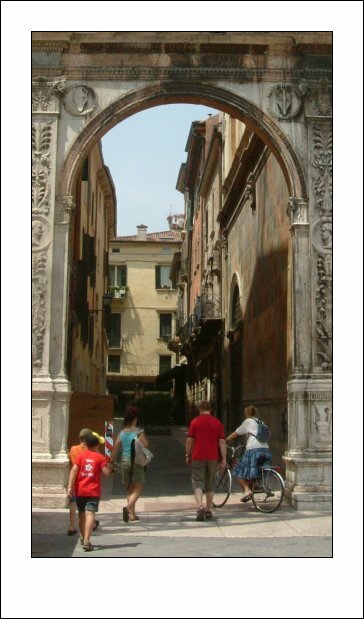 Once in Verona we began a walking tour with Cecilia. We walked though Piazzetta Capretta and on to Juliette's balcony. This is probably one of Verona's biggest tourist traps but it's free. It is possible to enter the 13th century property and make your way to the balcony. We were a bit pushed for time so none of us did this, although we did take plenty of pictures. (Not to shatter any illusions but the balcony was actually added sometime between 1936 and 1940.) 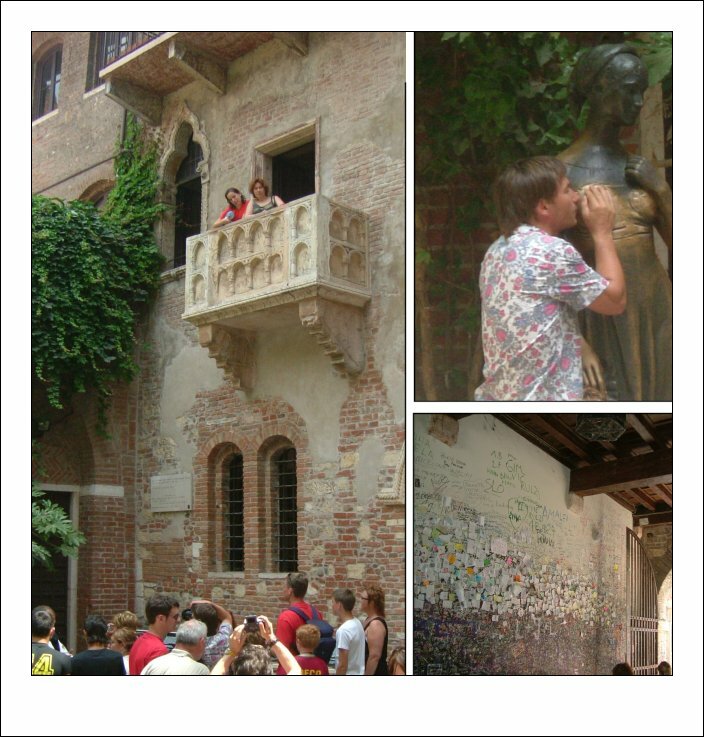 In the courtyard right below the balcony is a bronze statue by the sculptor Nereo Costantini, of 'Giulietta'. It is supposed to be lucky to rub the right breast...as if the men needed an excuse! The right breast is shiny from multiple male hands. On the wall by the entrance to the courtyard are hundreds of love letters. Apparently some are even stuck on with chewing gum. Ahhh how romantic! 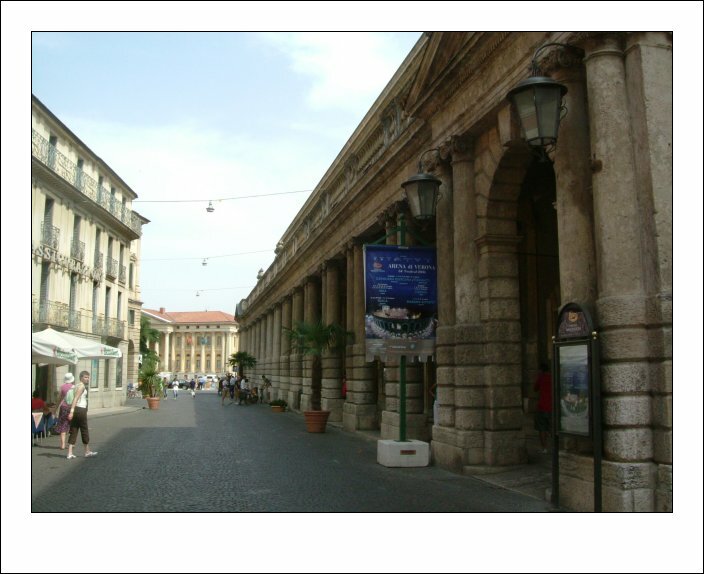 We wandered into Piazza delle Erbe, a very picturesque square. This was the place where the Roman Forum stood. There was a bustling market where fresh fruit and vegetables was sold. In addition, there were many interesting buildings and sculptures, including what I can only describe as a measuring 'block', that I mistook for stocks but which was used in Roman times to measure bricks, wood etc. I managed to take a picture of the Palazzo Mafei, a baroque building with six pagan divinities sculptures on top (Jupiter, Mercury, Venus, Apollo, Hercules and Minerva). We walked on to the Piazza dei Signori, and Via delle Arche Scaligeri, where the supposed residence of Romeo - 'Casa Montecchi' - is located. We wandered to the small church of Santa Maria Antica, which was founded in the 7th century and rebuilt in Romanesque style in 1185. The Scaligeri cemetery is situated inside a fence with a beautiful wrought iron gate that is decorated with the coat-of-arms of the Della Scala family. We had a meal in a cafe in the piazza, not far from the Roman Theatre, walked in the blistering heat and then re-boarded the coach, bound for the Albatross Hotel. After a shower and a meal, we walked along roads adjacent to the hotel and endured the monotonous ringing of a nearby church bell! The service in the hotel was excellent but the walls were paper thin. I found I could clearly hear the conversation of the occupants of the room next to me . In addition there were no accessible plug sockets. I had to move a dresser to access a socket! Ridiculous! I won't even bother to mention to squeaking bed! Ok ... despite all the moaning about the hotel, I had an amazingly good night's sleep. I went down for breakfast but could not eat anything. I formally introduced myself to Ivan and Carol and bought some stamps and postcards, putting some Italian to great use! 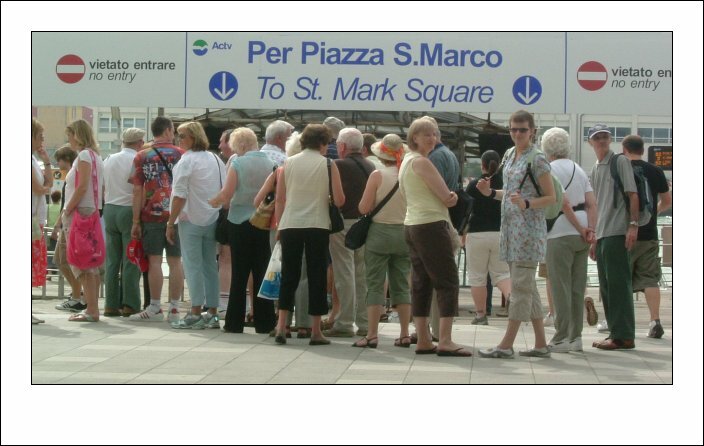 The coach took us to our boarding point where we were to board our vaporetto (water boat) to Venice - although we did seem to wait an extremely long time to board! We landed at Canaldi Pier and began our walk around Venice and at some point we introduced ourselves formally to Terry and Alice. Venice lived up to all my own expectations. It was full of tourists of course but it was like every film I have ever seen of the place. 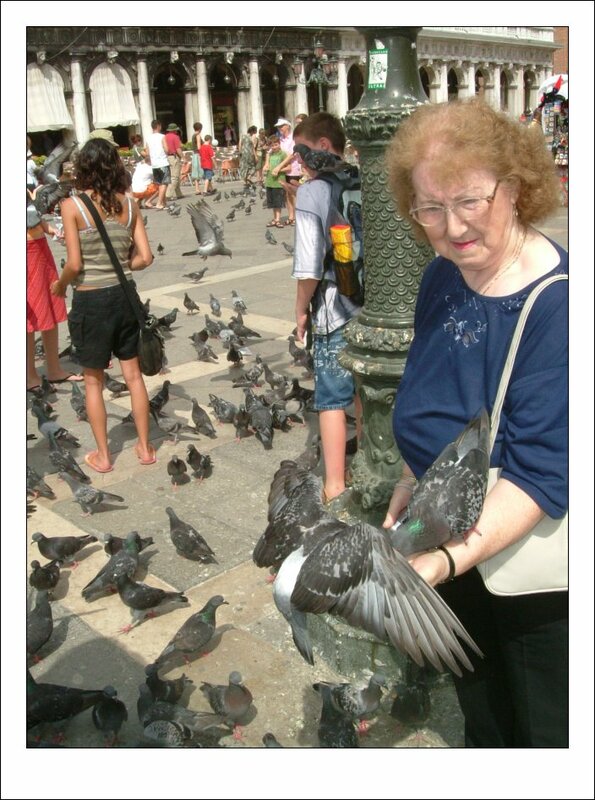 We fed some pigeons in St. Mark's square, ignoring the risk of bird flu. 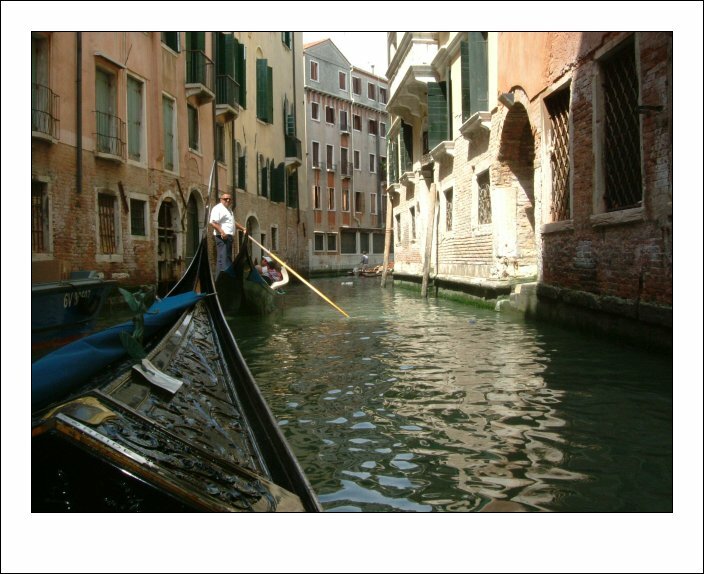 Then 10 of us took two gonodola's around the canals. (Frida, Arthur, Pauline, Vicki, Lucy, Ireen, Anthony, Carol, Alan and lil' ol' me!) I think we paid 30 Euros each. 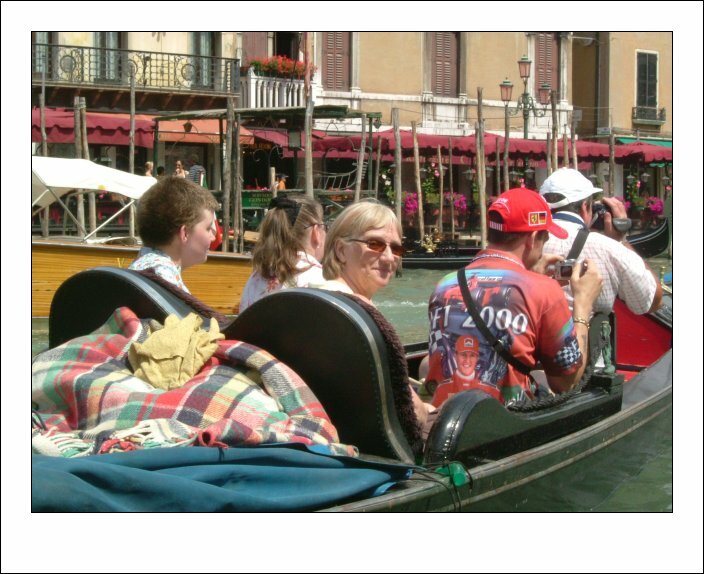 It was a beautiful, picturesque and relaxing ride with commentary by Mateo, our gondolier. 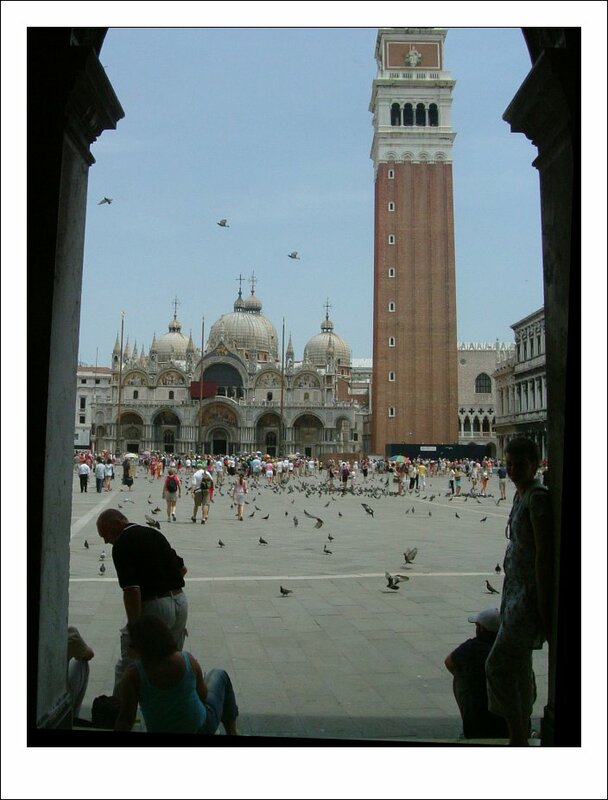 We walked around St Mark's square and sat in the heat with a bottle of warm water and a sandwich, having seen the Realto Bridge, the Bridge of Sighs and the Basilica di San Marco. 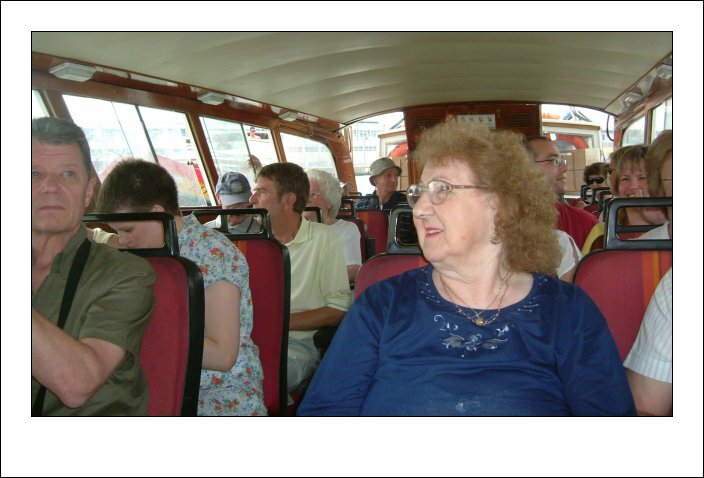 On the way back to the waterbus we were misdirected to the nearest toilet - in the direction from which we had just come. There we met what has to be the rudest toilet attendant in the history of toilet attending. Incidentally, running in temperatures in excess of 85oC is not to be recommended! We went from waterbus to coach and began to travel in the direction of Padova, over the River Po and to a service station for a meal. After the scheduled 50 minute stop we continued along the scenic Apennine Way, crossing into Tuscany. 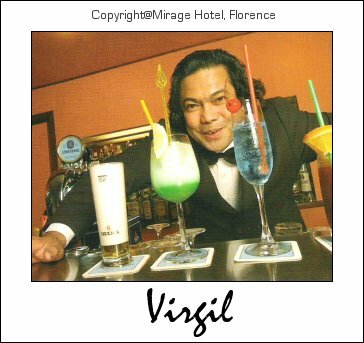 We arrived at the Mirage hotel in Florence at 6:10pm. My room was very basic. Pauline and Vicki in contrast had a very nice room and commented on the fact...quite often in fact! On a better note, the food was excellent. 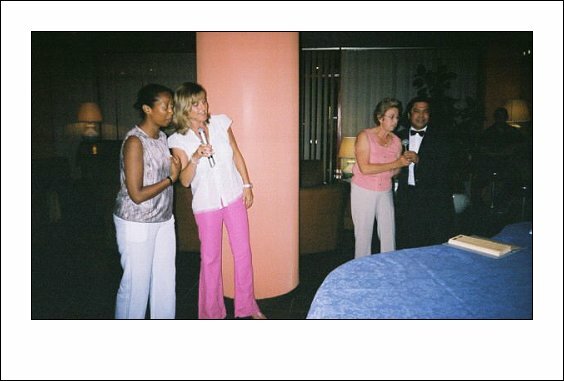 A few of us took the saying 'sing for your supper' too literally and karaoke'd the night away under the watchful and somewhat encouraging eye of the bar manger Virgil, who kept us supplied with shots of Cognac and tinkled the ivories while we performed our cabaret act. Irene and Lucy were definitely the most fun. We won't talk about our rendition of bohemian rhapsody! I was escorted to bed by Pauline and Vicki at 11:00am, but still found time to wash a few items of clothing before my head hit the pillow. Fact 1: Bergamo adopted the Venice motif of a lion with it's paw on an open book. 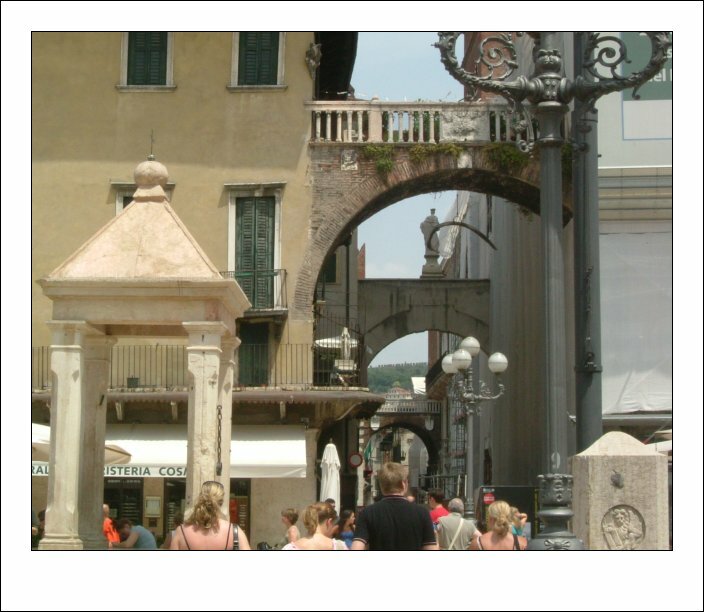 Fact 2: Verona has 260 thousand inhabitants. 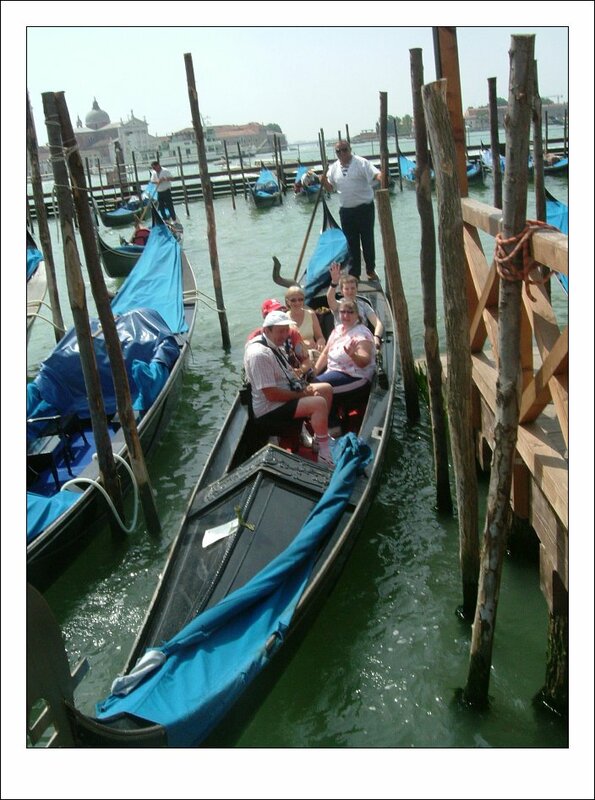 Fact 3: There are no female gondoliers. 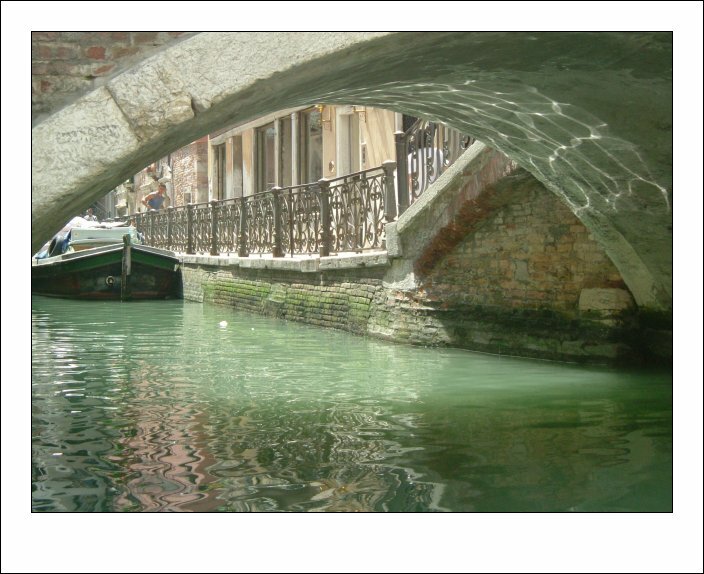 Fact 4: The River Po is the longest river in Italy. 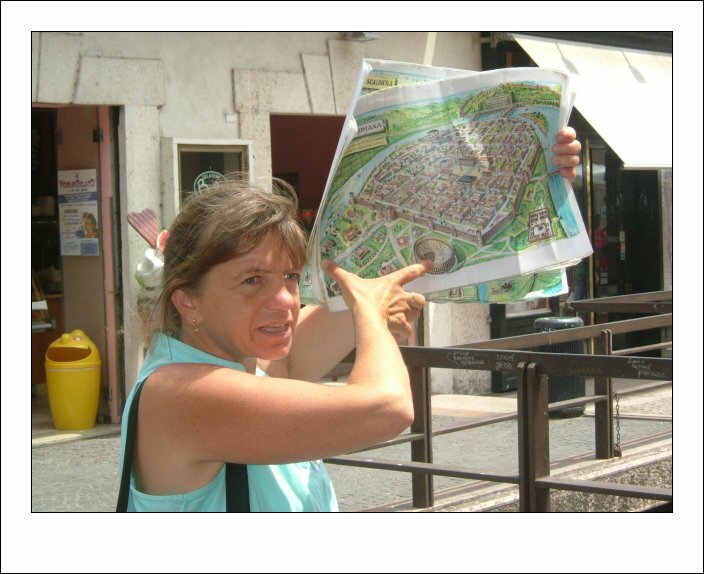 01: (link) Cecile - Our tour guide in Verona. 02: (link) Juliette's Balcony with Statue & love letters. 03: (link) Verona - Lamberti Tower & Palazzo Mafei in Piazza delle Erbe. 04: (link) Verona - Piazza delle Erbe. 05: (link) Verona - Fresco lined homes, Piazza delle Erbe. 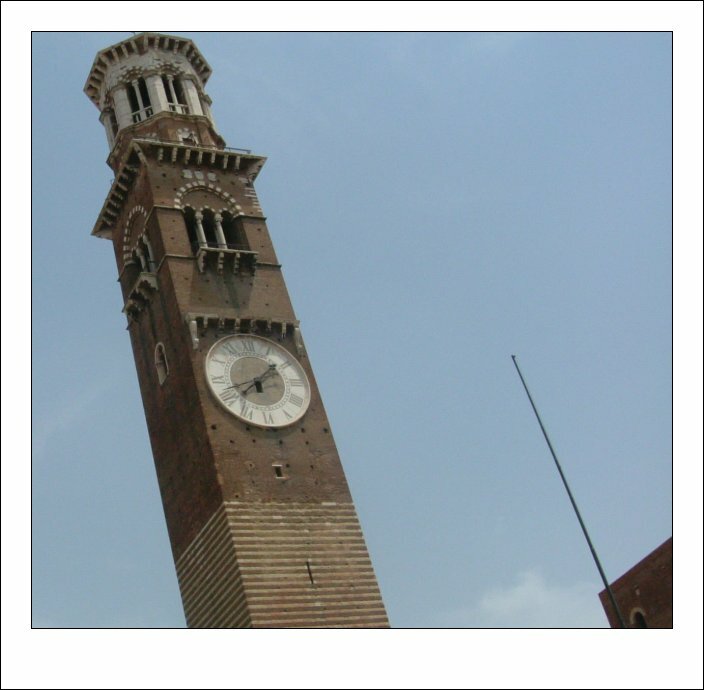 06: (link) Verona - 'Tower of the City' in Piazza delle Erbe. 08: (link) Verona - 'Casa Montecchi' Romeo's home. 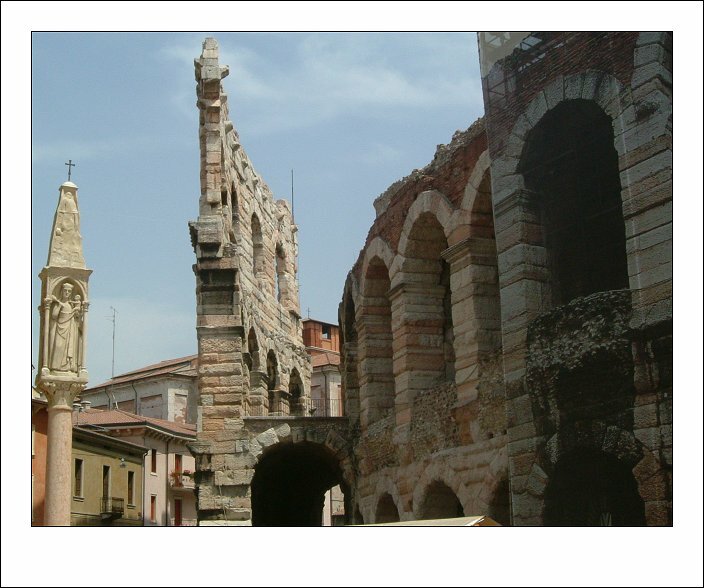 09: (link) Verona - Ruins. 10: (link) Verona - Pauline and Vicki on walkabout. 11: (link) Verona - Square where we ate. 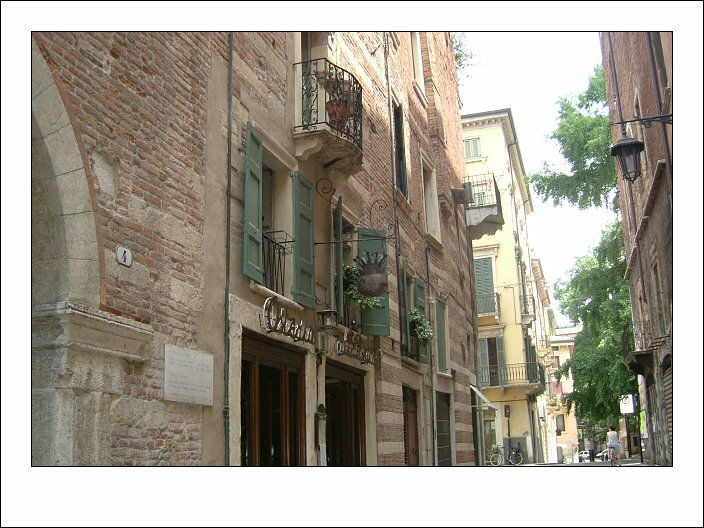 12: (link) Verona - Hotel Albatross. 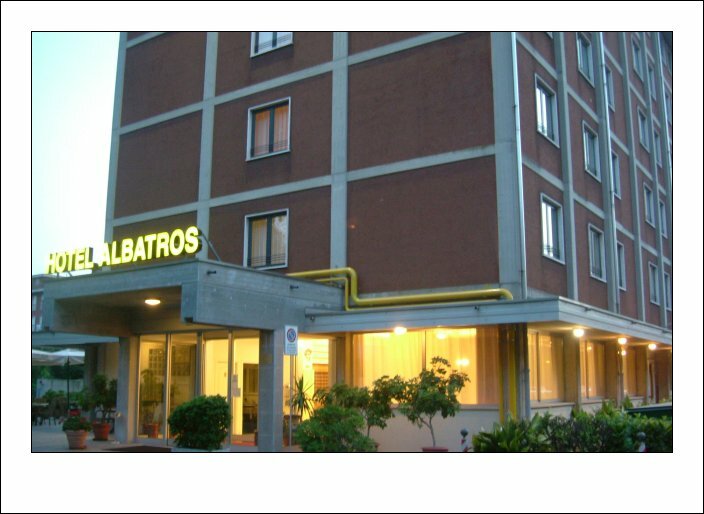 13: (link) Venice Mestre - Hotel Albatross. 14: (link) Venice - Embarkation point for Venice. 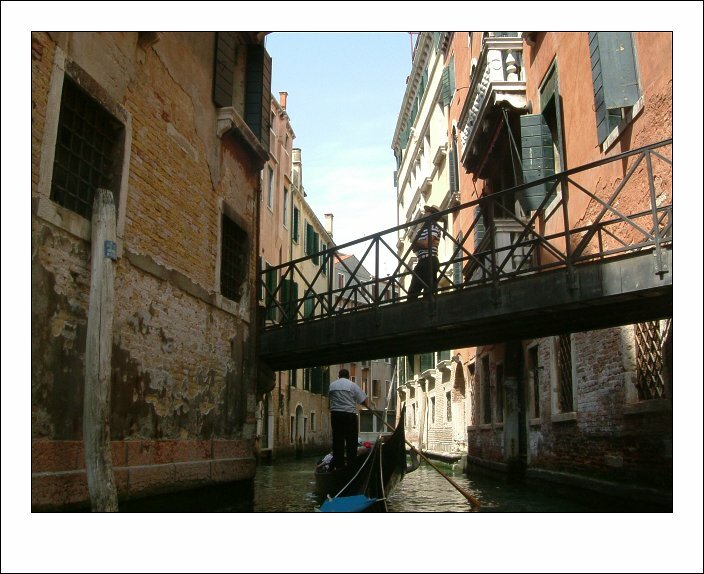 15: (link) Venice - On board the waterboat. 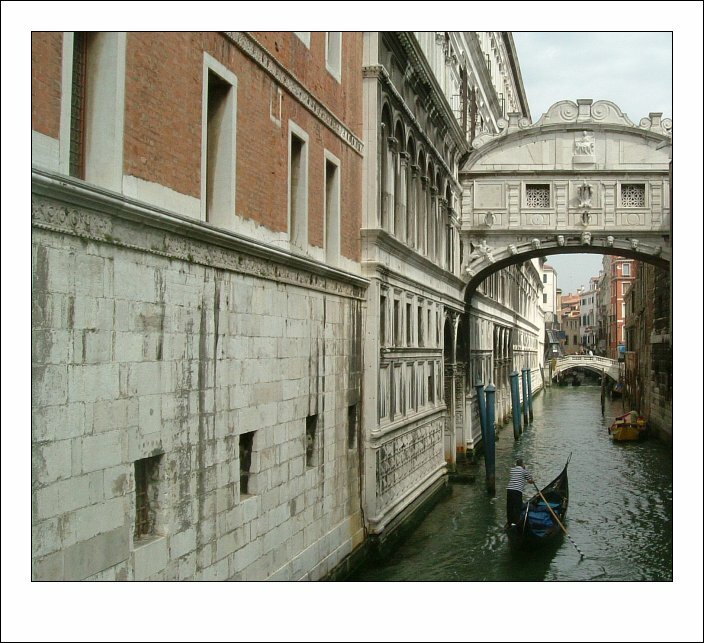 16: (link) Venice - Bridge of sighs. 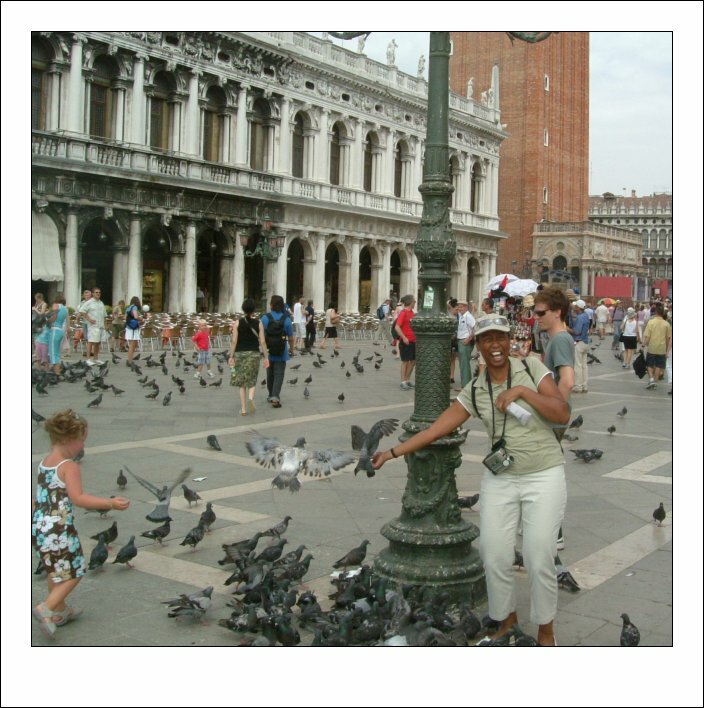 17: (link) Venice - Wendy feeding the pigeons. 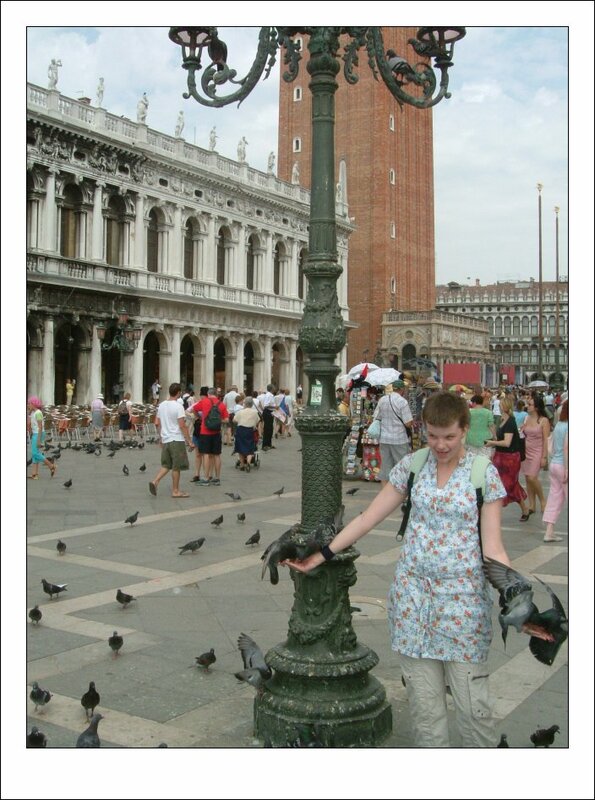 18: (link) Venice - Vicki feeding the pigeons. 19: (link) Venice - Alice feeding the pigeons. 20: (link) Venice - Frida feeding the pigeons. 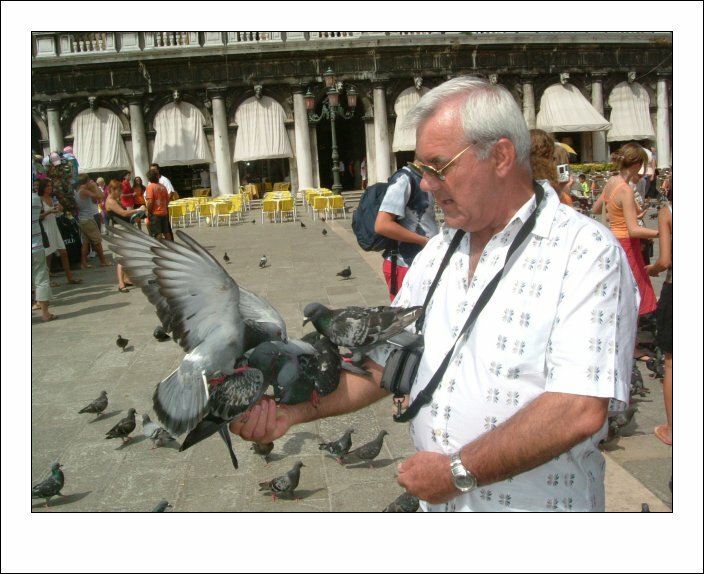 21: (link) Venice - Terry feeding the pigeons. 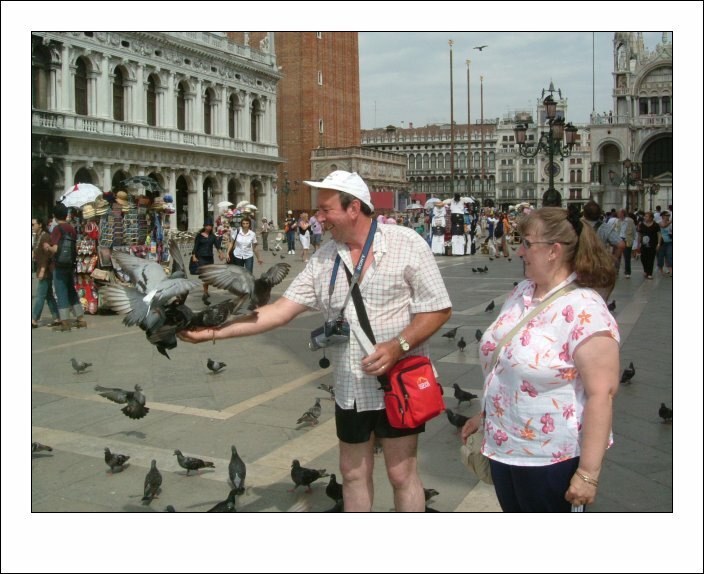 22: (link) Venice - Alan and Carol feeding the pigeons. 24: (link) Venice - Gondolier on canal. 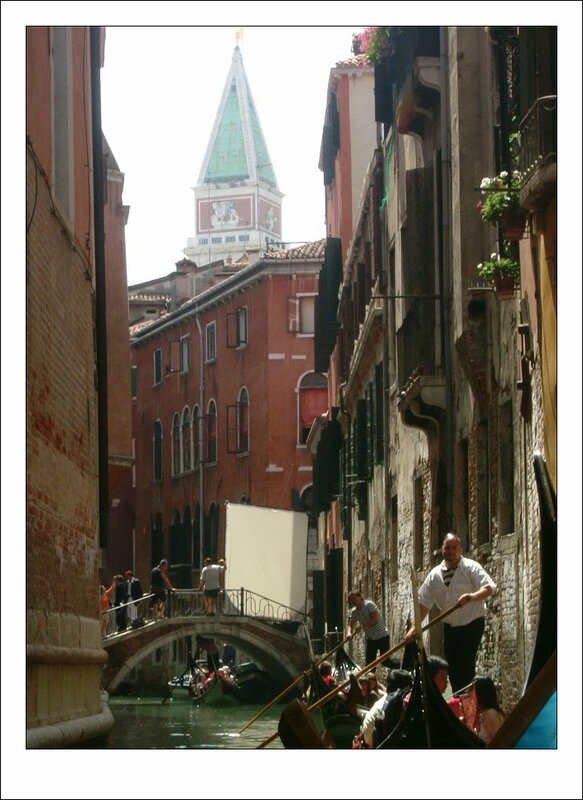 25: (link) Venice - Gondolier on canal. 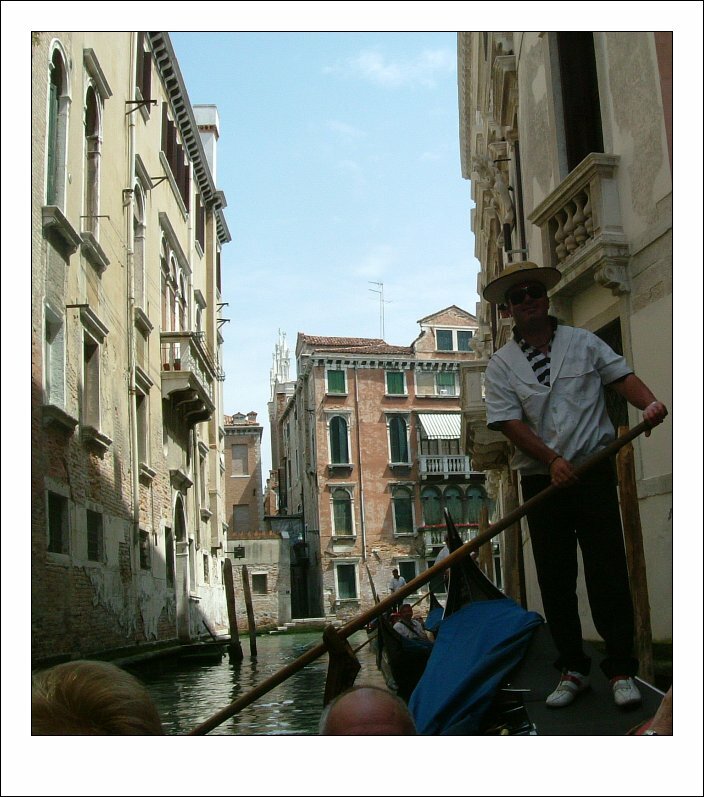 26: (link) Venice - Gondolier on canal. 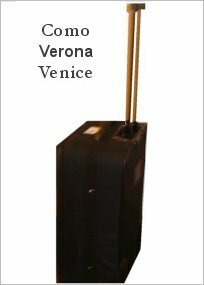 28: (link) Venice - Matteo, our gondolier. 29: (link) Venice - Reflections on the water. 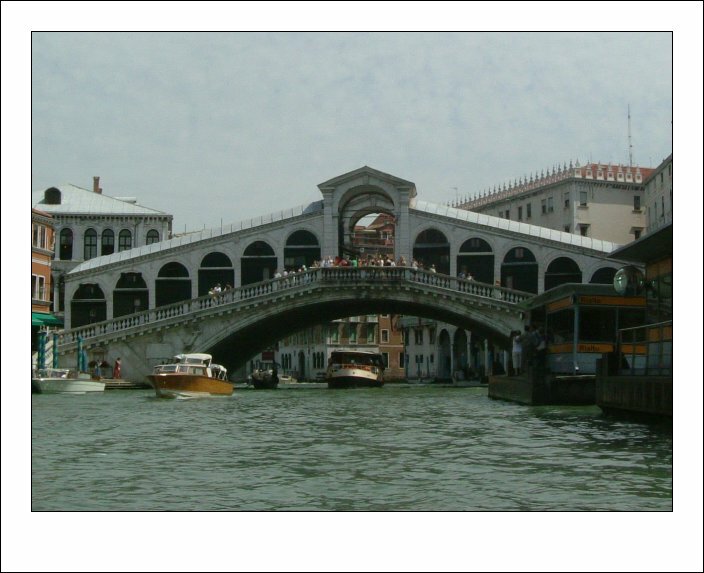 30: (link) Venice - Realto Bridge. 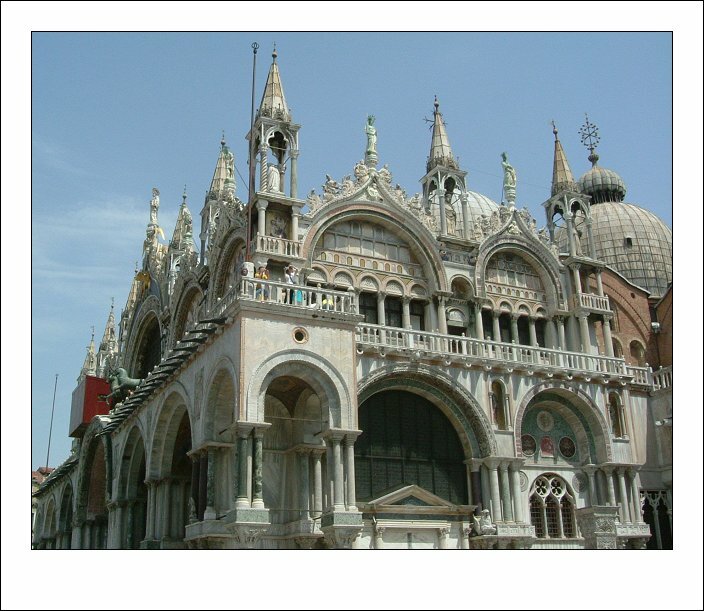 31: (link) Venice - Saint Mark's Cathedral. 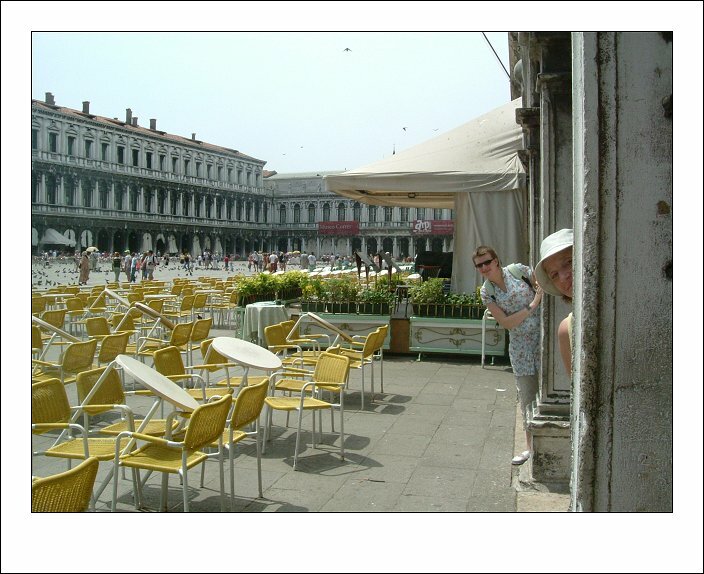 32: (link) Venice - Peek-a-boo - St. Mark's Square. 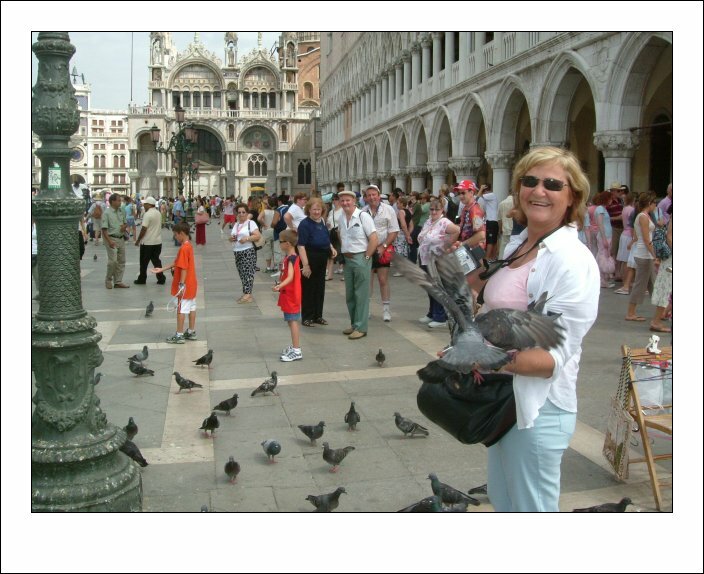 33: (link) Venice - Vicki with St. Mark's Square backdrop. 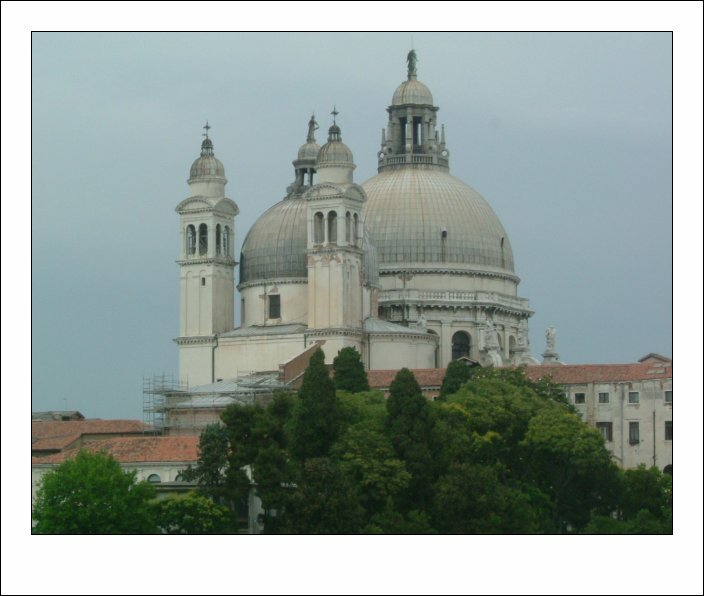 34: (link) Venice - Cathedral Domes. 35: (link) Venice - Hotel Mirage. 36: (link) Venice - Karaoke Night.